I thought I should add at least one tool since I’ve done so many tools in the past. 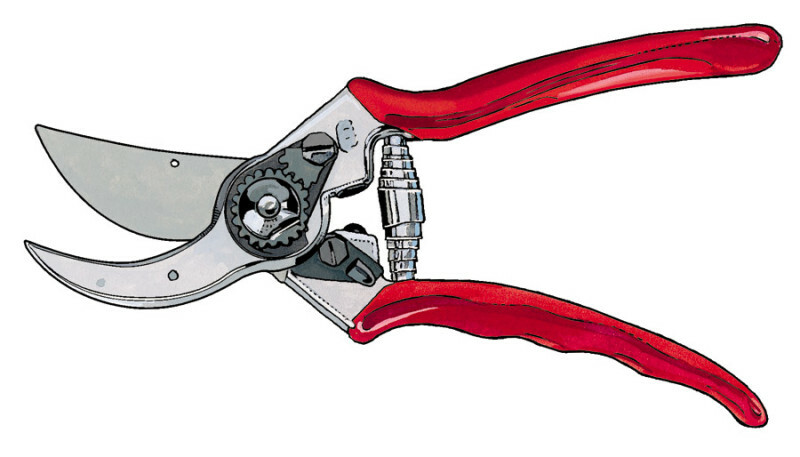 This is a classic Swiss-made Felco garden shear. I drew it long ago, in a now very old-fashioned way: it was photographed; the actual, printed photo was traced and painted in watercolor on paper. Acetate was placed on top and the shears were outlined and detailed with black lines in ink. In some places the ink was scraped away; then both layers were scanned and only then combined in Photoshop 3.0. What a pain.